Inserts – Nylon Brass (self colour). Please note in some instances the minimum body length can only be achieved by decreasing the standard thread depth. Plated inserts cost plus 10%. Special features such as non-standard thread lengths, odd ends etc. are available. 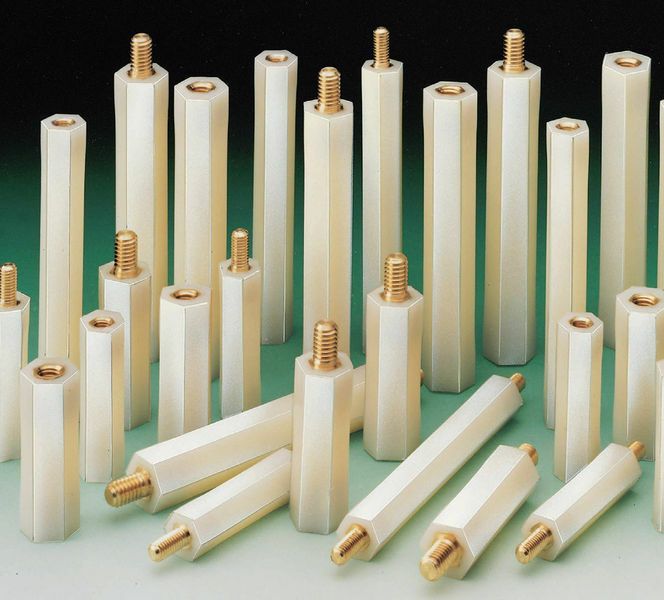 In addition to our standard range of Hexagonal Nylon Pillars we offer a process which allows the body length, type and length of thread to be adjusted quickly and economically so that you may call for your exact requirements. However the best possible delivery is likely to be for the metric lengths shown above.